Welcome to Friday! This week Inklings presents to you an activity which I hope to repeat. Part scavenger hunt, part bibliophile convention, and part Web experiment; it’s The 1st Periodical Online Book Collection! Um, what? Well here’s the deal. Periodically, on a Friday, I am going to propose that we build a virtual book collection. I will announce the theme of the collection and offer up a couple examples of books that might be included, and then leave the rest to you. How will this collection be built? In images, descriptions and good faith. Find a book that you think would fit in our collection. Then take a picture of it and email me that picture along with a note on where the book was found, and why you think it belongs in the collection. Any bibliographical information would also be nice. On Monday I will post all the entries in one “catalogue” of our collection and tah dah, we’ll have an instant digital exhibit of a book collection! That’s it??? Well, I have one rule. You do not need to own the book you submit, but you must encounter it IN REAL LIFE. No images gathered off the web! 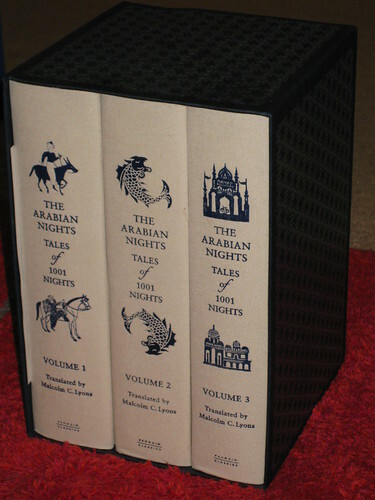 The book can be used or new, common place or rare. Go to local bookstores, libraries, universities, museums, friend’s houses – I don’t care, but you must be able to take a picture of the book you submit in the REAL WORLD. And be creative! I like quirky and unexpected interpretations of a topic. Feel free to be ironic, meta, traditional or fundamental. I will propose themes which are, I hope, broad enough for multiple interpretations. But why? Here’s two reasons off the top of my head: 1) I am a big supporter of books-as-objects and local book “scenes” and would like to celebrate both by encouraging a collective tour every so often. Who knows what we might discover by getting out of our houses and into the book world? and 2) I will be offering A PRIZE to the “best” entry! I don’t know what yet, but it will be booky. The person who submits the entry that I deem to be the gem of the collection will win. Now, because this is my inaugural collection and I don’t know yet how many people are interested in my game, I will be contributing heavily to this first collection. But please, join me in my search and lets see what we can build this weekend. Found: In my dining room. What? 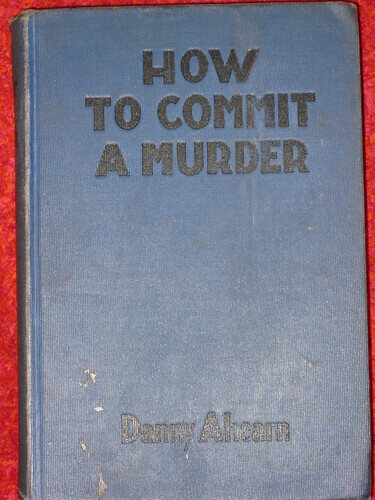 How to Commit a Murder by Danny Ahearn, Washburn, New York, 1930. Why? Ahearn says “Naturally, to convict a man it takes four eyes and not two” and while he includes useful advice on how to knock off witnesses, you could also just commit your murder IN THE DARK. Got the idea? great! Of course feel free to ask any further questions. Entries should be emailed to charlotte@once-and-future.com by 6am Monday, March 30th. Good hunting! Great idea, and I love your clever examples! I’m sick enough to be housebound, but I think I might be able to find something in my personal collection!